The Whitham Collection is a collection of original negatives produced by James Campbell Whitham, a United States Forest Service employee. "J.C.", as he was known, was born May 11th, 1888 in Fairfield, Iowa and studied forestry at Ames College, Iowa, graduating in 1911. While in college, he worked doing survey and mapping work along the Continental Divide near Dillon, Montana. J.C. became an assistant supervisor of the Beartooth National Forest from 1911-1913 and supervisor of the Sioux National Forest (later Custer National Forest) in 1916. During his early career with the Forest Service, J.C. worked on completing the first survey and detailed mapping of the rugged Beartooth Mountains in Montana and Wyoming. On August 23rd, 1923, J.C. Whitham and two Forest Service colleagues, Elers Koch and Robert T. Ferguson, successfully made the first ascent of Granite Peak, in the Beartooth Mountains of Montana. Whitham became supervisor of the Kaniksu National Forest in Idaho in 1924 and supervisor of the Gallatin National Forest in Bozeman, Montana in the early 1930s. He retired from the Forest Service in 1939 but was reinstated to do timber survey work in 1945. J.C. died in Bozeman on June 6th, 1963. 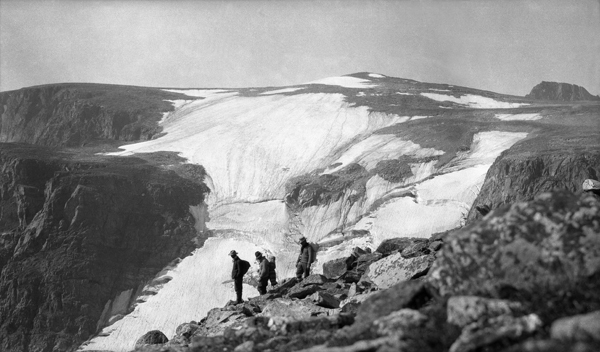 The photographic collection was donated to the Museum of the Rockies in 1972. It includes over 1700 images and covers a time span from ca 1909 to the 1930s, documenting his work for the U.S. Forest Service, his family and his friends.